I'd say I've covered a fair few places travelling; not as many as some of my Wanderlust friends but currently sitting comfortably on 23 countries I'd say isn't bad going at 24 years old. 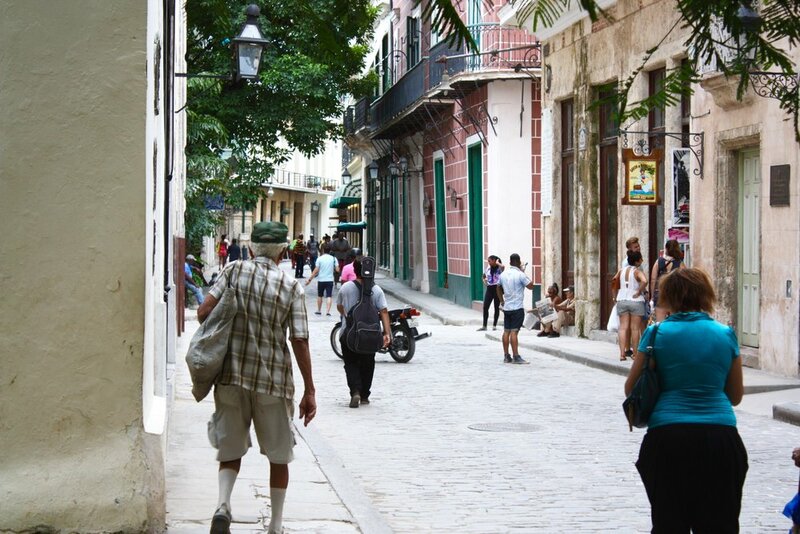 However, it was my recent venture to Cuba that felt the most foreign of all the places so far, both culturally and socially especially in Havana. Our first day was an experience. Barely speaking English, I had to get by on very broken Spanish which, whilst definitely got better as the trip progressed, was the first time I struggled to have a conversation which showed me how much I need to improve my language skills and not assume every country will understand. Along with this, the heckling we received as two western women (one who was blond) was something that I hadn't experienced before or been warned about in the numerous guide books and blogs, leading me to assume a) they were lying, b) staying in hotels and tourist areas or c) were men or with men. It wasn't threatening at all, unlike places like Turkey or Morocco that can be aggressive, but it was exhausting to say the least. Feeling like we were walking the street naked and they had never seen a woman before, every 10 seconds or so would be a kissing noise, of a licking motion, or Spanish come-ons, or staring. In a few cases, men noticing us, stopping and then walking behind us to stare at us. This was one of the hardest things to get used to by far. But. 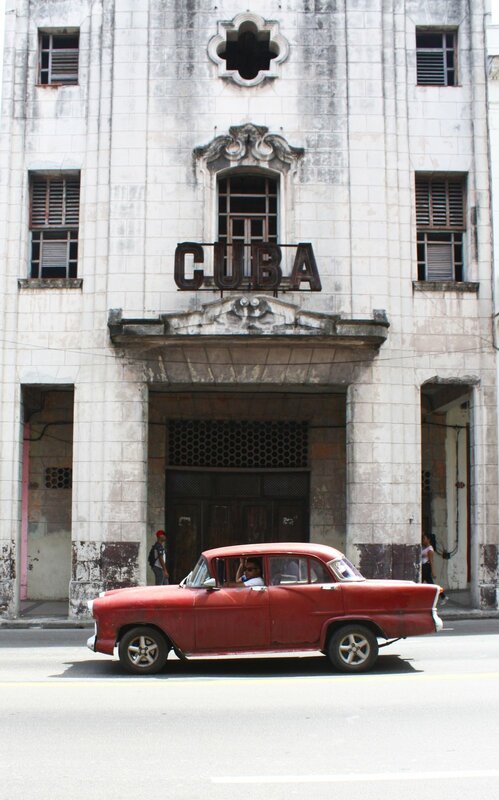 Once we were passed these two culture barriers, Cuba really was a fascinating place to explore. Street art celebrating 'Viva Cuba Libre', quotes from Fidel Castro sprayed onto walls, retro diner opening times painted onto dilapidated buildings. And of course the sheer number of retro cars and multicoloured buildings that really felt like you had stepped back in time to Grease. Along with the live music in every single restaurant and venue, it ended up being just as you would imagine it at times. And the numerous cocktails were something we counted on at 10:30am to beat the heat, forever draining our mojitos and frozen daiquiris that were thrusted upon us no matter the day, rarely more than a couple of pounds each for the rum-soaked drinks. Who needs bottled water when you have a minty water, albeit laced with authentic Havana Rum? Many stories came about from our time, such as forgetting to pay our breakfast tab after fleeing when an arrogant American sat down telling us he used his Irish passport to vote for Brexit (something we remembered later and felt no guilt over him picking it up), or drinking vinegar instead of our bottled fridge water, or even when we asked a girl to take our photos and she just pressed the on and off switch. Not just this, but the casa particulares were some of the highlights. Essentially the locals opening their spare rooms to people, we looked out for the anchor signs that tell you they are registered and found some beautiful places, which you can read more of below. But the hosts were kind and helpful, greeting us with snacks and drinks, always happy to call a taxi or alternative casa for us, or being happy to let you in no matter the hour. And succulent breakfasts of juicy mango and new fruit tasting of papaya and guava. 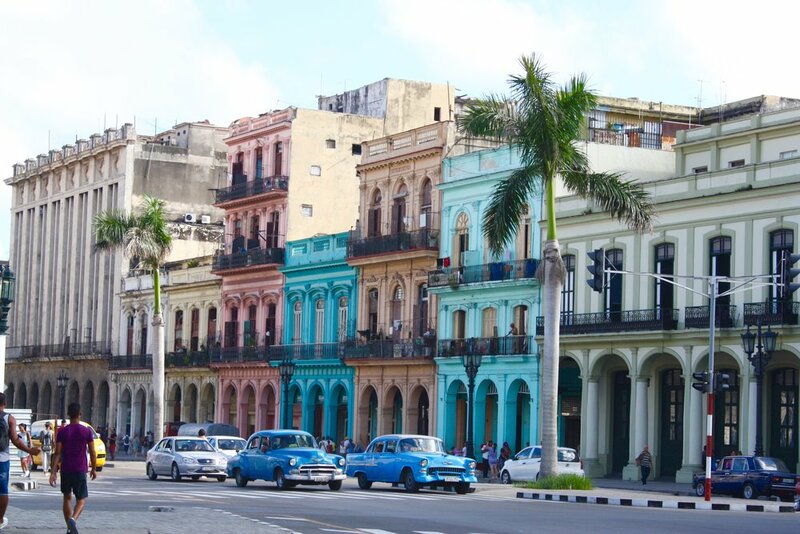 So whilst a few tiring moments that I feel may be better solved if you look less western (or less female), Cuba is a place that really transports you back in time where no one is looking down at their phones, and instead are sitting on the streets or their balconies watching as the world goes by, and getting by on word of mouth and the kindess of each other. With two double beds for €30 a night, a beautiful bathroom, and a fridge with water available to purchase, this one was recommended to us by our host in Varadero. The house was huge with an indoor courtyard and three other rooms, and the family of Ivan, his wife and daughter was just what we needed for the night. 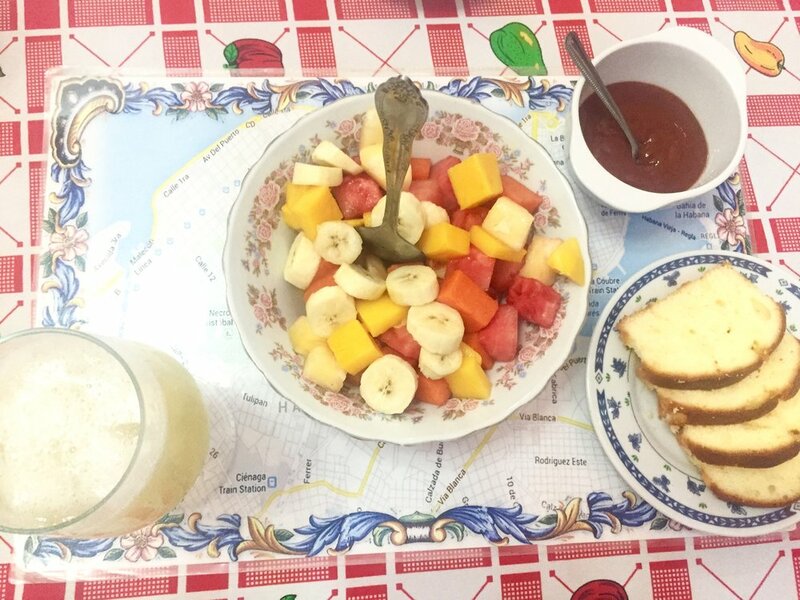 The usual €5 breakfast came with everything; fruit salad of banana, papaya, guava, pineapple and mango, bread, eggs, coffee, tea, toast, cheese and ham. We even left our phone charger there yet when we ran back later that eve, he knew what we were after and handed straight back. 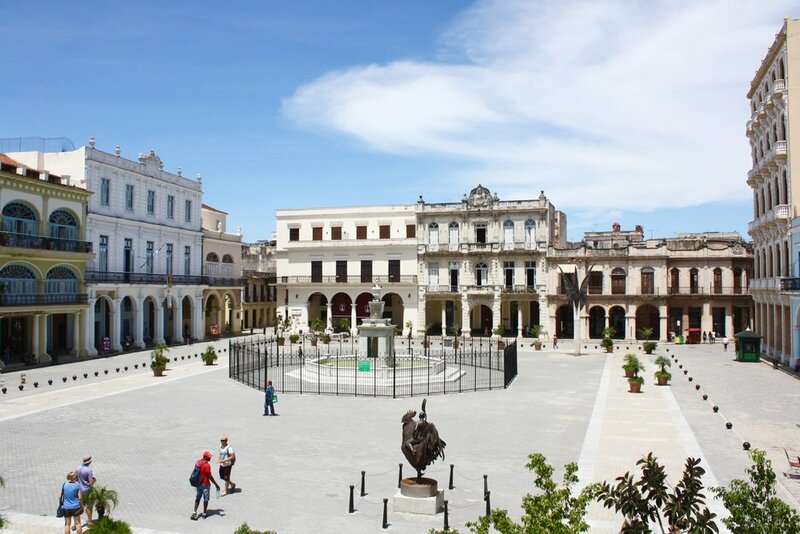 It was luxury for the same price which was such a beautiful place to stay in Habana Vieja. For another €30 per night, I had read about this place from another travel blogger. 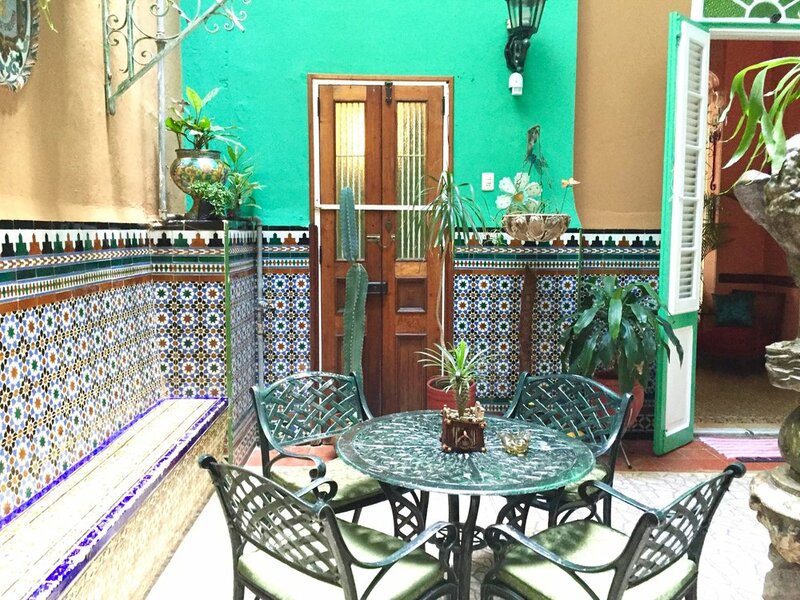 It was by far the most luxurious so you could tell they were one of the well-known places with a gorgeous interior of brightly tiled walls, ornate ceilings and plants and photos everywhere. With the cutest family, best English spoken so far and the usual breakfast spread for the same €5, it was our favourite place the whole time, with them even getting up at 4am to let us out for the taxi they had booked us (in an old car; the perfect way to end our journey). 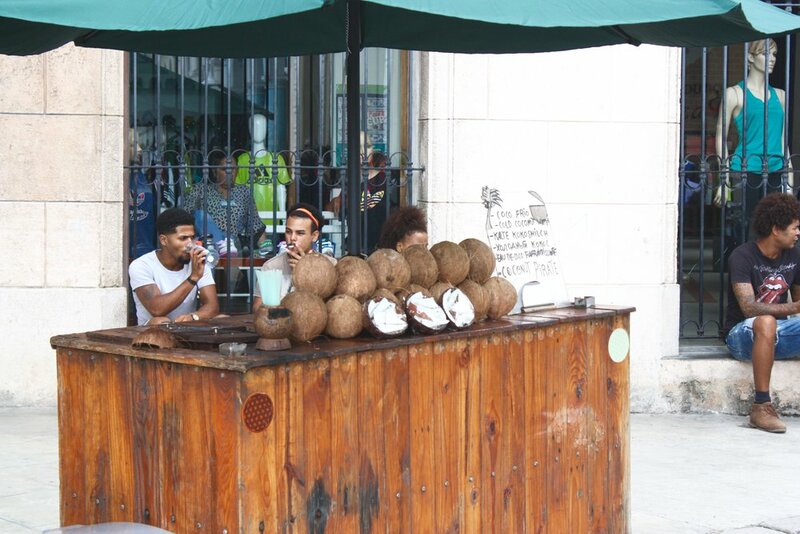 La VitrolaDo not be deceived by them calling this a 'tapas bar'. They are absolutely huge portions, yet at the price of tapas which is where we made our mistake. Going for omelette, chicken croquettes, chicken skewers, black beans and banana fried with ham and cheese (more like a plantain potato as opposed to banana), they came out as full platters for just the two of us at only €20 which was a challenge we failed to say the least. However they were amazingly friendly, asking where we were from so they could put a flag in the cobs from our home, and inviting us back for salsa (and complimenting my pronunciation of gracias; thank you GCSE Spanish!) Along with the continuous live music throughout the day, we returned a good number of times for other dishes, friendly service and delicious puddings surrounded by vintage 50's signs and memorabilia. 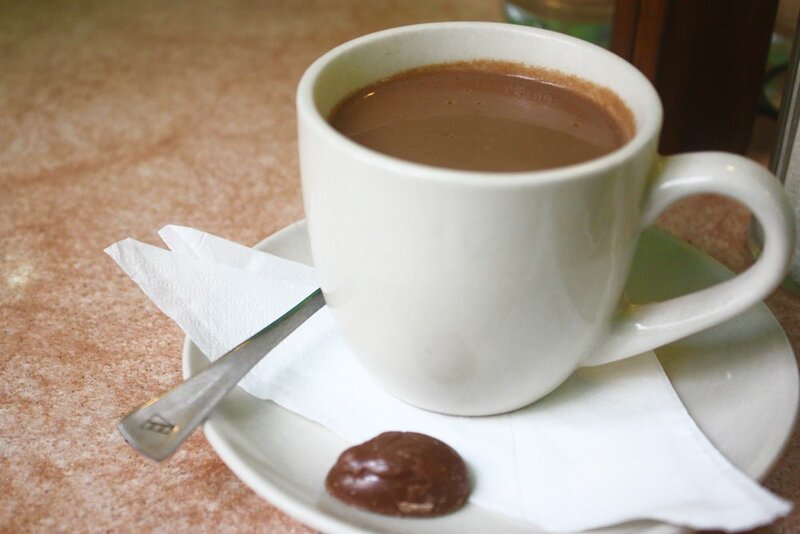 Despite a queue that can be out of the door, this 'museum' is the place for chocolate lovers. More a cafe with a few artifacts scattered around, you could get a €1 chocolate milkshake with mini chocolates and a hot chocolate for €0.50 whilst watching all the varieties of chocolates being created. A great place for a quick sweet break when a cocktail isn't enough, and some cute little chocolates for bargain prices. 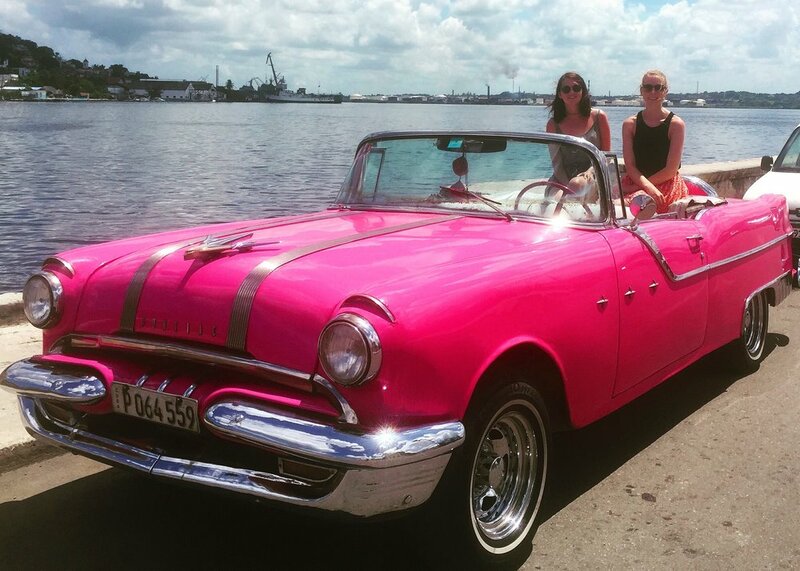 Whilst numerous museums you can head to that cover everything from the revolution to the Havana Rum, we instead decided to pay €20 for half an hour in an old car (bartered down from £40 for an hour) where our driver not only pointed out some of the famous landmarks, but also took so many photos of us when asked.